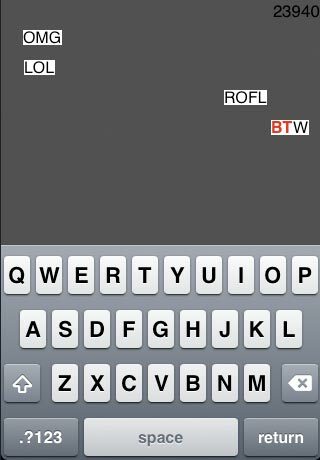 Text Invaders (TI) is a basic "Space Invaders" type game that allows you to shoot "aliens" disguised as text phrases. LOL! Are you the fastest texter in the world? Here's your chance to prove it. 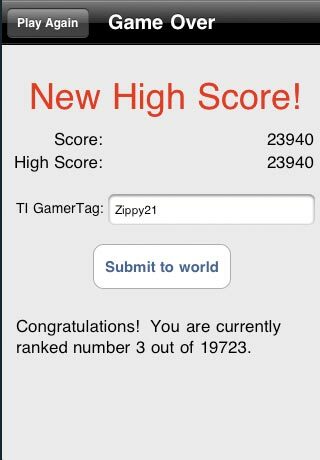 TI allows you to submit your scores to a global high score list. Do you fumble around with the keyboard every time you need to type something on your phone? TI will help you develop world-class texting skills. Things start out easy with single characters and simple phrases, but the farther you go, the tougher things will get. HINT: You get more points for shooting the invaders as early as possible. Fix potential problem with restoring a game after an interruption.